ehen valuing a business interest for tax purposes, the taxpayer might wonder, “Why isn’t my discount for lack of marketability (DLOM) 50% or more?” Conversely, the IRS might contend that no DLOM applies whatsoever. A battle usually ensues. Reaching a reasonable quantification of the DLOM based on facts and circumstances is a valuator’s job. Valuation professionals analyze empirical data to quantify a reasonable DLOM for each subject company based on its specific attributes. 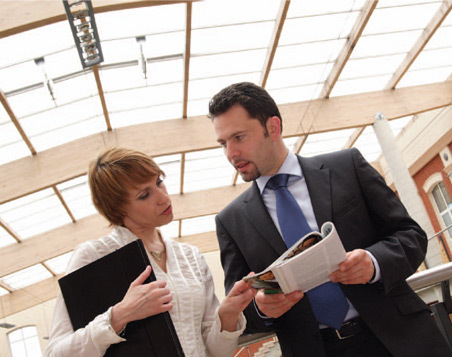 Buying or selling a private business interest can be time consuming, cumbersome and costly. Without an active market to trade these investments, connecting buyers with sellers — and structuring a deal that meets everyone’s goals — is challenging. Noncontrolling (minority) interests further lack marketability because they may be subject to transfer restrictions and lack control over decision-making. Public stocks can be converted to cash in three days. But it often takes a year or longer to sell a private business. Noncontrolling interests can be even harder to liquidate. Value indications from the market and income approaches may be derived from returns achieved on and prices paid for noncontrolling ownership interests in active public securities markets. The accepted valuation theory is that the application of these methods results in a publicly traded equivalent value. An adjustment is required to convert a public-equivalent price into the value of closely held stock. The DLOM attempts to capture the various attributes associated with selling a private interest. 1. Restricted stock studies. These compare the prices paid for registered shares of publicly traded companies to unregistered (restricted) shares of publicly traded companies. The unregistered shares can’t be freely traded on the open market for a prescribed time period. In 1997, however, the Securities and Exchange Commission relaxed its holding-period requirements on restricted stock. The current holding period is six months. 2. Pre-IPO studies. These are based on arm’s-length transactions involving private companies with stock, options and convertible preferred stock that subsequently went public. Here, the DLOM equals the difference between the private market price prior to the initial public offering (IPO) and the public market price at the IPO. Empirical studies are just a springboard for quantifying the DLOM. A valuator determines which restricted stock and pre-IPO transactions are most comparable to the subject company. He or she also factors in case-specific attributes, such as the size of the share block, financial performance, restrictive agreements, put rights and the likelihood that the subject company could issue a public offering. Apart from empirical studies, a DLOM may be quantified using put option modeling. Here, the value of a put is calculated to estimate the risk an investor takes that an investment’s value could deteriorate over time. The cost of the put option theoretically estimates the DLOM. fall, this publication has stirred some controversy in the valuation community. For the most part, this guide merely compiles contemporary theory underlying the DLOM. It doesn’t identify a “best” approach to estimating it, but it does criticize the blind use of averages, medians, and regression analysis on restricted stock studies when quantifying the DLOM. When a DLOM is under scrutiny, be sure to ask your appraiser about this publication, so you’re not blindsided by an IRS inquiry or in Tax Court. So, why does the IRS target the DLOM? These discounts typically range from 30% to 50%, which means that significant dollars are at stake. Not only does the discount range vary, but some taxpayers fail to provide adequate support for their discounts. A qualified appraiser can develop well-supported discounts that stand a better chance of withstanding IRS scrutiny. Can you take a DLOM on a controlling interest? 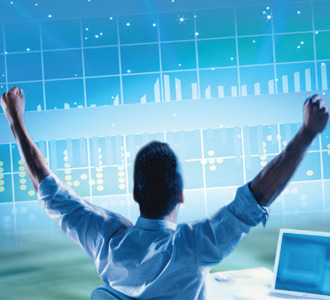 Many valuation professionals believe that controlling interests lack some degree of marketability, especially when using publicly traded equivalent value derived using the income approach or the guideline public company method. But the “illiquidity” discount for controlling interests is generally much less than the DLOM on noncontrolling interests for the same company. Controlling shareholders are usually free to sell their private stock, but there isn’t a readily available market for their investments. Therefore, the primary issue when valuing a controlling interest is lack of liquidity, rather than lack of marketability. A common pitfall when quantifying an illiquidity discount occurs when an inexperienced valuator — or business owner who prepares a do-it-yourself appraisal — relies on restricted stock or pre-IPO studies. This empirical data covers sales of noncontrolling interests. Therefore, the studies are only valid benchmarks when quantifying DLOM for noncontrolling interests. Relying exclusively on such studies will overstate the DLOM and understate value when valuing a controlling interest. An appraiser also may gauge the relative difficulty of obtaining financing for private company stock acquisitions and the time value of money. n an ever more virtual world, business owners increasingly depend on intellectual property (IP) to generate value for their companies. But determining the value of IP — be it patents, copyrights or trademarks — can be challenging. In addition to obtaining guidance from professional appraisal organizations, appraisers use several methods to determine what these intangible assets are really worth. Income approach. Under the income approach, an appraiser considers the economic benefits that are reasonably attributable to the subject asset as well as the risks associated with realizing those benefits. This approach may be more viable when the intellectual asset’s revenues and expenses can be segregated and analyzed separately from the company’s other revenues and expenses. Market approach. When using the market approach, an appraiser considers the relevant differences between the subject and guideline assets. due to functional or economic obsolescence or reduced life expectancy. 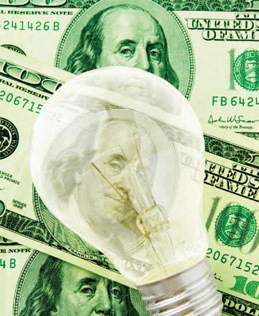 When valuing a patent, an appraiser generally considers the scope of protection, which encompasses jurisdictional coverage, the status of registrations and maintenance fee payments, the breadth of patent claims, alternatives to the patented invention, and the patent’s economic and legal life. Another factor an appraiser looks at in valuing a patent is the risk of patent exploitation. This includes the likelihood of infringement, invalidity, technological or economic barriers to successful commercialization, and alternative innovations that could reduce the patent’s economic benefit. In addition, most appraisers look at public and private information. This consists of information about the patent as well as comparable or competing technologies that may be available from sources such as the U.S. Patent and Trademark Office (USPTO), the Securities and Exchange Commission (SEC), and market research. Patent portfolio factors also may be taken into account. These may include relevant synergies enabled by the aggregation of rights, such as the elimination of blocking patent rights. What about copyrights and trademarks? 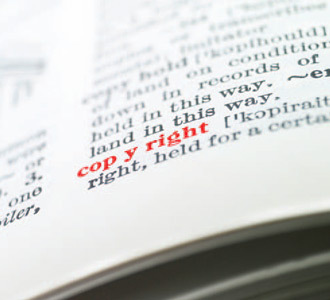 Copyright valuations need to recognize the scope of protection, including jurisdictional coverage, status of registrations and renewals, and whether the copyright relates to the original work or a particular derivative. In addition, any public and private information that may be available regarding the copyrighted work, and comparable or competing works, can affect a copyright’s value. comparable or competing marks, such as USPTO data, public disclosures filed with the SEC, market analysis and research, and surveys. The American Society of Appraisers (ASA) has issued a standard for valuing intangible assets: “BVS-IX Intangible Asset Valuation.” This standard gives attorneys an idea of what to expect from their valuation experts and provides a baseline for evaluating the work of opposing experts. The feasibility and character of potential commercial exploitation of the asset. The ASA standard for intangible property enumerates several factors that appraisers — whichever valuation approach they take — consider when valuing an intangible asset, such as its history and expected remaining economic and legal life. Finally, appraisers are expected to consider the type of intangible asset to be valued, and apply any additional factors as appropriate. In most circumstances, appraisers document the relevant factors they considered when valuing a specific intellectual property asset. In fact, the ASA standard permits appraisers to depart from any provision they deem warranted — as long as the departure from the particular provision is disclosed. A qualified professional appraiser won’t fail to make such a disclosure if needed. prevent erroneous conclusions and courtroom blunders. Both rates come into play when an appraiser applies the income approach to valuation. The underlying theory is that the value of an asset or business equals the net present value of its future earnings. There are two ways to estimate net present value. When future earnings are stable and predictable, a valuator might use the single-period income capitalization method. This technique typically capitalizes next year’s projected cash flow using a cap rate. Cap rates are based on market returns and risk perceptions. be worth $10 million ($1 million divided by 10%) as of Dec. 31, 2011.
and then discount each year’s cash flow to its respective present value using a discount rate commensurate with the investment’s risk. For businesses — and other assets that have perpetual lives — a terminal (or residual) value is added to the sum of the interim years’ present values to estimate value beyond the discrete projection period. An appraiser usually calculates terminal value using the singleperiod income capitalization method described above. Alternatively, an appraiser might use salvage value, liquidation value or expected selling price for terminal value. 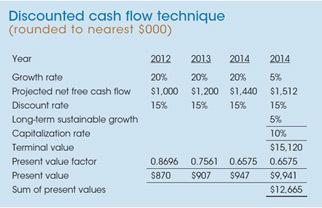 “Discounted cash flow technique” on page 6 provides a simplified example of how the discounted cash flow method works. 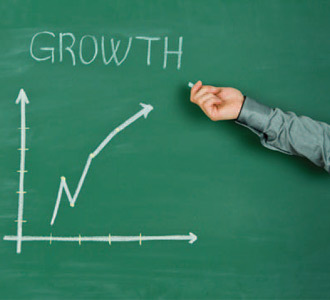 There, we analyze a business that expects to grow 20% each year over the next three years, normalizing growth to a long-term sustainable rate of 5% into perpetuity. The value of this hypothetical company is approximately $12.7 million as of Dec. 31, 2011. Although this example and the previous one project $1 million of net free cash flow in 2012, the second example has a higher value, assuming the same discount rate applies to both entities. The bulk of the second company’s value is in its 2014 terminal value. In a nutshell, the difference between a cap rate and a discount rate is long-term sustainable growth. A cap rate also may be thought of as the inverse of a pricing multiple (which is used under the market approach). The income approach is more than theoretical rhetoric. It’s used in the real world in legal disputes and as a decision-making tool for large companies. Understanding the basics of this approach is imperative to protecting a business’s financial interests and making prudent investments. Occupational fraud occurs when someone uses his or her job for personal enrichment through the deliberate misuse or misapplication of an employer’s resources or assets. Such activity can skew financial results and lead to erroneous value conclusions — unless a valuator adjusts the financial statements for fraud. Fraud affects companies of all sizes, in all industries and geographic locations, and can involve everything from stealing inventory to misstating financial results for personal gain. For example, an unscrupulous CFO might prematurely post unearned or fictitious sales at year end to boost his annual bonus. As a result, value will be overstated because earnings or assets are exaggerated. Conversely, value may be understated if the owner hides assets, runs personal expenses through the business, or takes an excessive salary that drains cash flow. 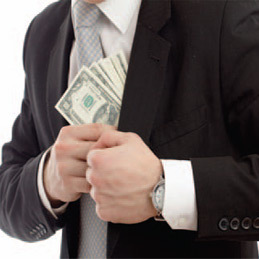 These types of questionable practices are especially common when a controlling shareholder has a financial incentive to dissipate value — say, in a divorce or shareholder dispute. Appraisers don’t audit for fraud in the course of a typical business valuation assignment. Instead, they generally assume financial statements are free from error and material misstatement. Indeed, most valuation professionals aren’t trained in forensic accounting. But some may inadvertently unearth gross anomalies when analyzing financial performance or touring company facilities. In any event, valuators should further delve into any transactions, balances or ratios that appear excessive or abnormal. If you suspect fraud, discuss your concerns up front with your valuator. Some appraisal firms have in-house forensic accounting capabilities. Smaller firms can recommend a second expert to help unearth and quantify fraud’s effect on value. Early identification of fraud risks can help you obtain access to the requisite financial data during discovery and facilitate a more efficient use of outside experts.